Turn your CZ Scorpion from a "zero to a hero", just like Vanilla Ice. What you don't get the reference? Step up your VHS game son! 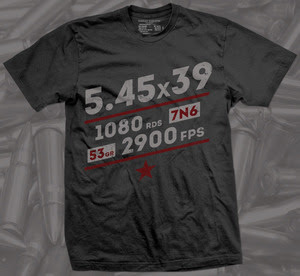 MAC is wearing our 5.45x39mm shirt like a bawse. Bringing out with some new designs on a new color shirt. 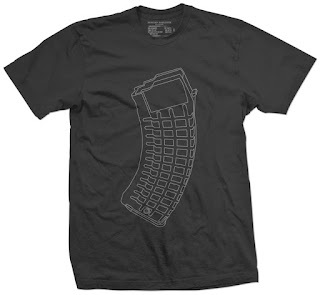 Charcoal shirt featuring AK47 Waffle mag coming soon!